A few years back I discovered the wonders of spaghetti squash. If you've never had it you're in for a treat. Basically it's pasta without all the gluten and the carbs. 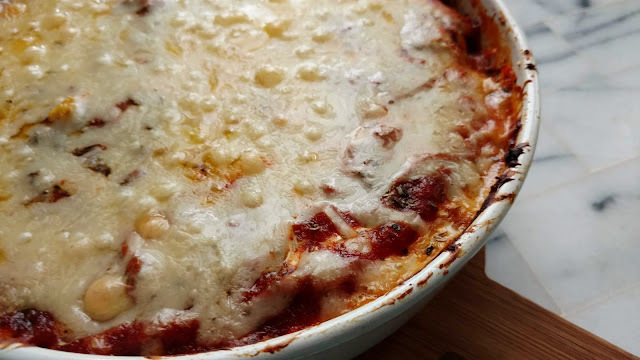 While you can always just cook it up and toss some sauce, sausage or meatballs and cheese on top this Spaghetti Squash Casserole is my favorite way to eat it. One large spaghetti squash, cook, with the seeds removed. 2 -3 cups of pasta sauce. 1/2 a lb. of ground beef or sausage, cooked. 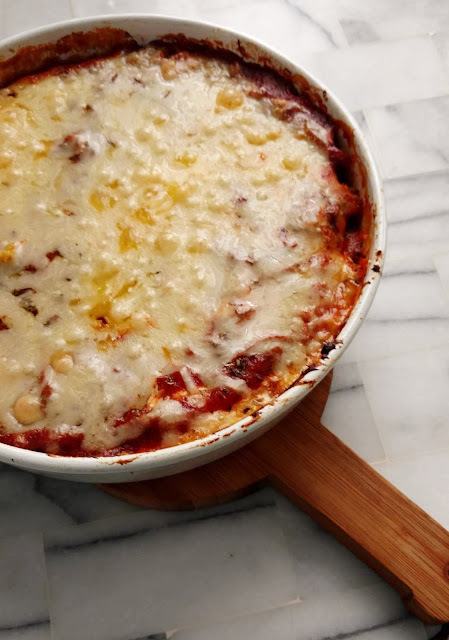 1 1/2 cups of grated cheese--a mix of mozzarella and cheddar works well. Scrape all the squash meat out and spread in the bottom of a greased pan. Layer sauce, sprinkle on herbs, then layer meat and then top with cheese.